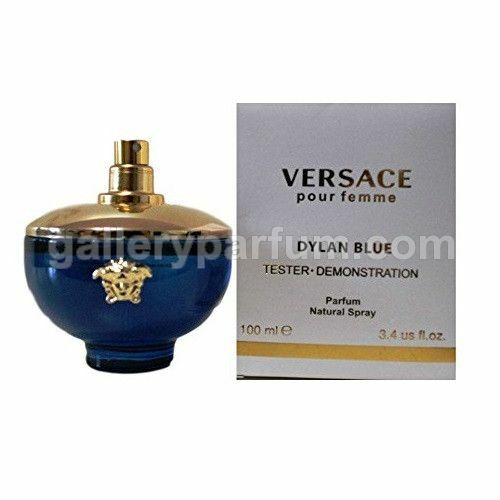 Versace Pour Femme Dylan Blue Perfume by Versace, Versace Pour Femme Dylan Blue is a floral-fruity-woody fragrance for the woman who isn’t afraid to show off her sultry feminine side . This elegant scent is the creation of the nose of Calice Becker and first met the world in 2017. When worn during the day, this refined scent captivates with a moderate sillage that pulls closer those around you. An intriguing mix of sensuality and strength, this aroma has the longevity to see you through the romance-filled days of spring and summer. The top notes are shiso, forget-me-not, clover, Granny Smith apple and black currant. The heart notes include peach, jasmine, rosyfolia, petalia and rose. The base notes feature musk, white woods, styrax and patchouli.